Tapered? Angled? Flat? Blending? What the BRUSH??? I was once in your position, totally lost with the vast amount of brush options. For my Bellas and Bellos that have never gone beyond using the typical brush that some makeup brand comes packaged with. I want you to embark on a ride to Brush Crush World because after this ride you will be falling in love with how these babies can rank up your look. You don’t necessarily have to stick to the category I have placed the brush(es) under. Depending on what look you are aiming for, you can go ahead and break “my” rules (haha). For instance, you want to highlight a particular small area on or above your cheekbones go ahead and use the tapered eye brush. It will apply a soft look and simulate Sofia Loren beautiful, high cheekbones. Ok, not literally like hers but you get the point. Below I’ll list what I believe are the essential tools to start your own makeup brush collection and start witnessing flawless application. Each brush can serve many purposes – you can have a brush that can be used for your eyes as well as your lips or even face. I will make reference to which brushes have multiple duties. Where can I buy makeup brushes??? You can buy them at most cosmetic stores or online such M·A·C, Sigma (online), Crown (online), Urban Decay, and SEPHORA just to name a few. If you’re near a pharmacy, Duane Reade sells eco-friendly brushes; I specially like their powder/blush brushes. A little insider: when I began my journey as a Makeup Artist, I actually started with paint art brushes which I purchased from Michael’s arts and craft store! Tapered Blending Brush – Works well on creases and helps to achieve smokey eye looks. You can also use this brush in areas of your face that you specifically want to highlight. 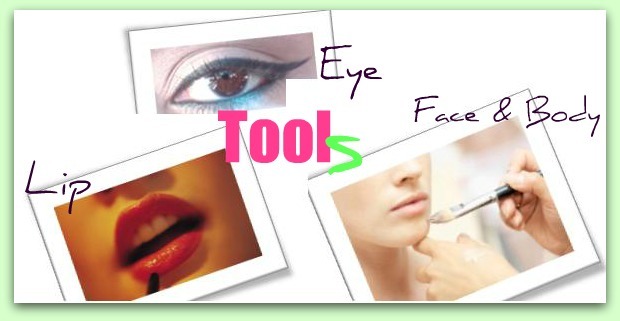 Eye Shading Brush – Helps to build up shadow on your eyelid. Blending Brush – I love this brush! It does exactly what its name after, blends, blends, and blends! It helps to blend powder/cream shadow harsh lines when applying more than two colors achieving a smooth, natural look. You can even use it to blend your blush, bronzer, and highlighter- there’s basically no limit. The brush is a keeper in your makeup kit. Medium Angled Shading Brush – Can be used on your brow bone to apply highlight. I also tend to use it on my crease to create more depth and inner or outer corners of my eyes. Small Eyeliner Brush—Helps for precision application, specially the cat/winged eyeliner looks. Powder/Blush Brush – Applies blush or bronzer to cheeks. As well as pressed powder or bronzer or loose powder on the face. You will find different sizes available which will help pick the right amount of powder for desired sections. Large Angled Contour Brush – Helpful to apply powder and contour cheeks. The brush hair doesn’t pick up too much color and due to its shape, it makes it easier to blend (angled). Kabuki/Buffer Brush – I tend to use this brush to apply pressed powder or sometimes loose powder. It’s also used to apply powder on the body. Concealer Brush— Looks like a mini version of a foundation brush- it’s an under-eye friendly tool. Why? It has a more delicate application versus tugging or pulling on the area which is recognized to be the most sensitive part in your face. It helps to apply concealer to those hard to reach areas (around your eyes). Foundation Brush – Applies a natural finish look on the skin. The brush construction helps to apply large amounts of makeup on our pretty face. Lip Brush – Defines lip’s shapes and blends lip liner and lipstick. Helps to define the sexiest part of your lips- the cupid’s bow. Tip: You can also use an angled eyeliner brush to highlight the cupid bow. Honestly, I don’t know how I survived years ago doing my makeup without these handy tools. Lastly, remember to take good care of your brushes. I’ll soon provide a blog on how to clean these hairy tools. Stay tuned. Brushing my shoulders off, Peace. Posted on December 16, 2011, in Beauty, Makeup, Makeup Tips and tagged brush collection, MAC, Makeup brushes, Sephora, Sigma, Ulta. Bookmark the permalink. Leave a comment.